A gorgeously refreshing juice made using only organic apples and nothing else. Nice and simple, like juice should be. 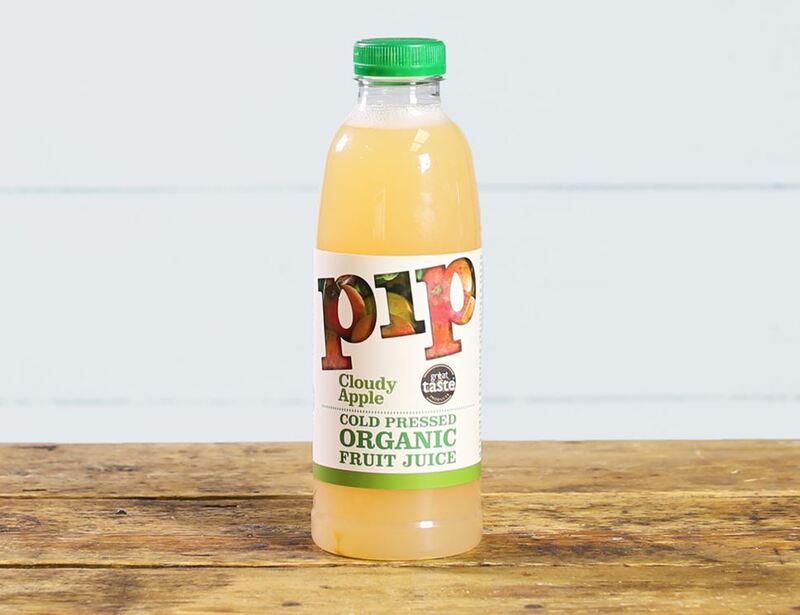 Unlike your traditionally pasteurized juices, Pip is cold pressed, meaning that none of the goodness is lost from the fruit when it's being squeezed. It all ends up in the bottle. Organic apple juice* (100%) with added antioxidant ascorbic acid (Vitamin C) * = produced to organic standards. Pip is a cold pressed juice and will naturally separate so please shake well. Please keep refrigerated 0-5c before and after opening. Once opened please drink within 3 days. Not suitable for home freezing.